The Balint Consultancy is delighted to announce that at the recent annual conference of The British Psychoanalytic Council, two of our Consultant Psychotherapists received very special awards in recognition of their outstanding contributions to the mental health professions. 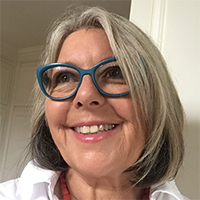 S usanna Abse, Consultant Psychotherapist and former CEO of Tavistock Relationships, received the British Psychoanalytic Council’s award for “Outstanding Leadership”. 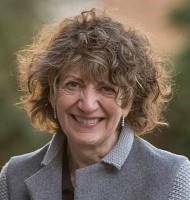 Susie Orbach, Consultant Psychotherapist and founder of the Women’s Therapy Centre and the Women’s Therapy Centre Institute, received the first ever “Lifetime Achievement Award” from the British Psychoanalytic Council. Helen Morgan, the Chair of the British Psychoanalytic Council, paid special tribute to Susanna Abse and Susie Orbach, and thanked them for their unique contributions to the psychoanalytical profession. The BPC. particularly singled out Abse’s achievement in developing the training, research department, and clinical projects for Tavistock Relationships, as well as her unique work in spearheading the All Party Parliamentary Group for Strengthening Couple Relationships. The British Psychoanalytic Council saluted Susie Orbach for her forty years as a leader and innovator in the field of psychological therapies. The BPC congratulated Orbach especially for her best-selling books such as Fat is a Feminist Issue and Bodies, which have helped to transform our understanding of eating problems and other psychological struggles, and for her pioneering work as a mental health broadcaster and theoretician of relational psychoanalysis. Full copies of the testimonials and tributes to Susanna Abse and Susie Orbach will be posted on the website of the British Psychoanalytic Council.